Pain can be your best friend or your worst enemy. Momentary pain is a critically important warning sign. It alerts you to pay attention when something is wrong in your body, when you have hurt yourself or when you are in danger of hurting yourself. But when pain serves no useful purpose (as most long-term pain does not), it can quickly destroy your quality of life. It’s important to understand that pain is an involuntary experience; it just happens automatically and unconsciously, so it’s very hard to alter the sensation of pain using simple willpower or forced positive thinking. *Hypnotic pain relief requires a written doctor’s referral. Stop pain from running your life! “In recent years, the anecdotal and sometimes exaggerated evidence for the effectiveness of hypnosis to decrease sensitivity to pain – known as hypno-analgesia – has been supplemented by well-controlled experiments. In their 2003 review of controlled clinical studies, Dr. Patterson and fellow psychologist Mark Jensen, Ph.D., found that hypno-analgesia is associated with significant reductions in ratings of pain, need for analgesics or sedation, nausea and vomiting, and length of stay in hospitals. Hypnosis has also been associated with better overall outcome after medical treatment and greater physiological stability. Surgeons and other health providers have reported significantly higher degrees of satisfaction with their patients treated with hypnosis than with their other patients. Drs. Patterson and Jensen’s review concluded that hypnotic techniques for the relief of acute pain (an outcome of tissue damage) are superior to standard care, and often better than other recognized treatments for pain. Furthermore, a 2002 cost analysis by radiologists Elvira Lang, MD and Max Rosen, MD, that compared intravenous conscious sedation with hypnotic sedation during radiology treatment found that the cost of the hypnotic intervention was twice as inexpensive as was the cost for the standard sedation procedure. Chronic pain, which continues beyond the usual time to recover from an injury, usually involves inter-related psychosocial factors and requires more complex treatment than that for acute pain. Int J Clin Exp Hypn. Jul 2007; 55(3): 275–287. Hypnosis has been demonstrated to reduce analog pain, and studies on the mechanisms of laboratory pain reduction have provided useful applications to clinical populations. Randomized controlled studies with clinical populations indicate that hypnosis has a reliable and significant impact on acute procedural pain and chronic pain conditions. Since 1992, we have used hypnosis routinely in more than 1400 patients undergoing surgery. We found that hypnosis used with patients as an adjunct to conscious sedation and local anesthesia was associated with improved intraoperative patient comfort, and with reduced anxiety, pain, intraoperative requirements for anxiolytic and analgesic drugs, optimal surgical conditions and a faster recovery of the patient. 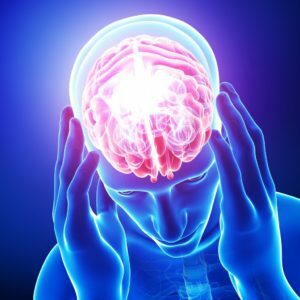 Compared the treatment of a migraine by hypnosis and autohypnosis with the treatment of a migraine by the drug prochlorperazine (Stemetil). Results show that the number of attacks and the number of people who suffered blinding attacks was significantly lower for the group receiving hypnotherapy than for the group receiving prochlorperazine. Patients in the hypnosis group reported less post-treatment pain than did patients in the control group. Patterson DR, Ptacek JT, Baseline pain as a moderator of hypnotic analgesia for burn injury treatment. Journal of Consulting & Clinical Psychology 1997; 65(1): 60-7. Attempting to elucidate cerebral mechanisms behind hypnotic analgesia, we measured regional cerebral blood flow with positron emission tomography in patients with fibromyalgia, during hypnotically-induced analgesia and resting wakefulness. The patients experienced less pain during hypnosis than at rest. The observed blood-flow pattern supports notions of a multifactorial nature of hypnotic analgesia, with an interplay between cortical and subcortical brain dynamics. Copyright 1999 European Federation of Chapters of the International Association for the Study of Pain. Functional anatomy of hypnotic analgesia: a PET study of patients with fibromyalgia. Wik G, Fischer H, Bragee B, Finer B, Fredrikson M, Department of Clinical Neurosciences, Karolinska Institute and Hospital, Stockholm, Sweden Eur J Pain. 1999 Mar;3(1):7-12.